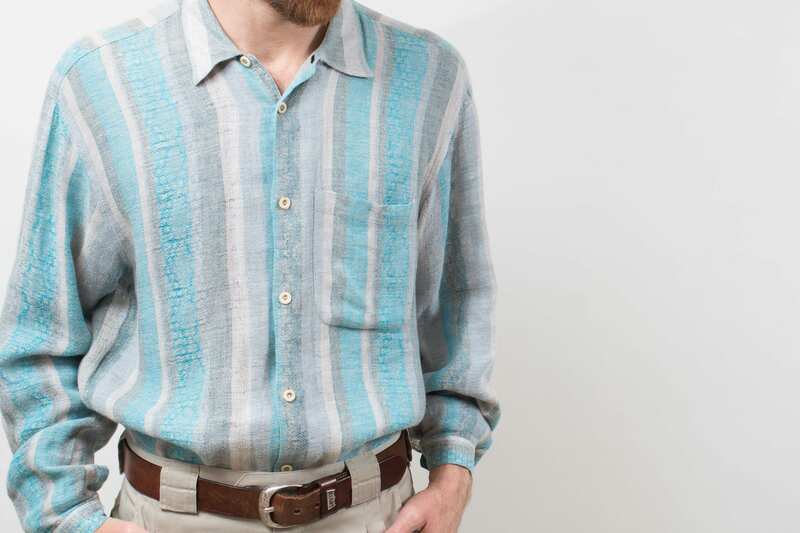 This is a vintage mens medium size blue and grey striped shirt. 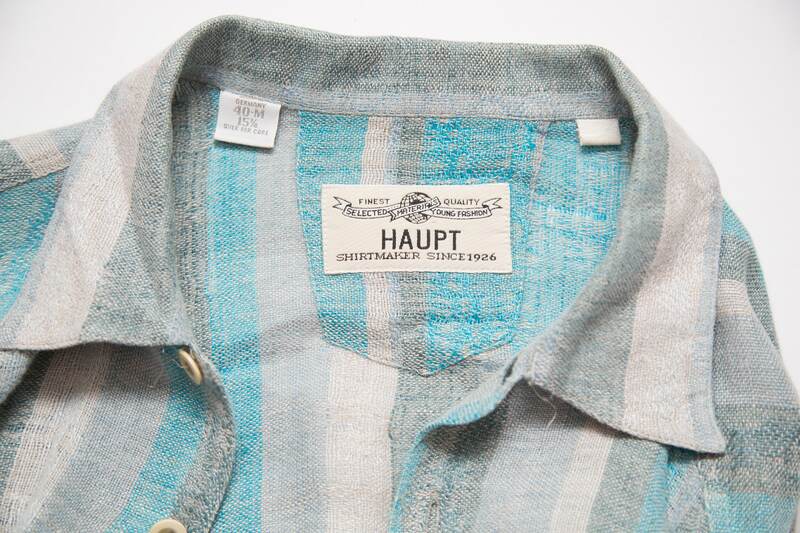 Tag reads "HAUPT - Shirtmaker since 1926". It is made in Germany. 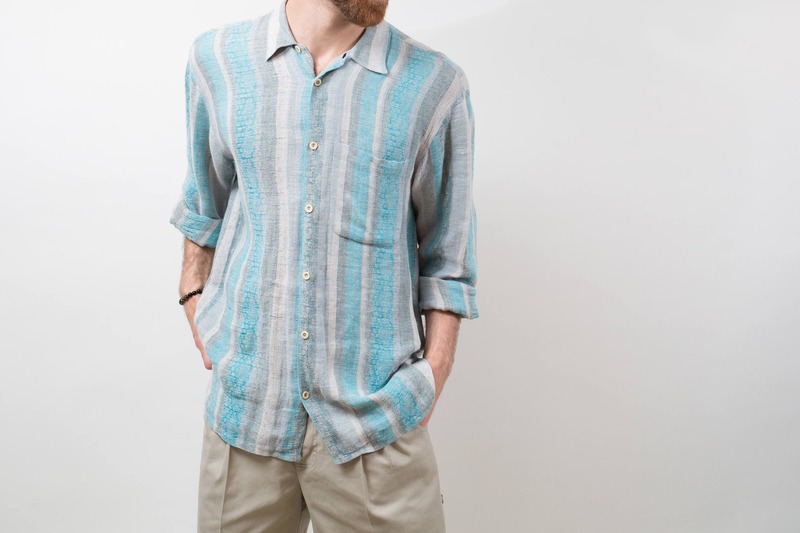 It's a great on-trend preppy shirt that is very thin and light and great for golfing or outdoor summer activities. Tag reads 15 3/4, 40-M. 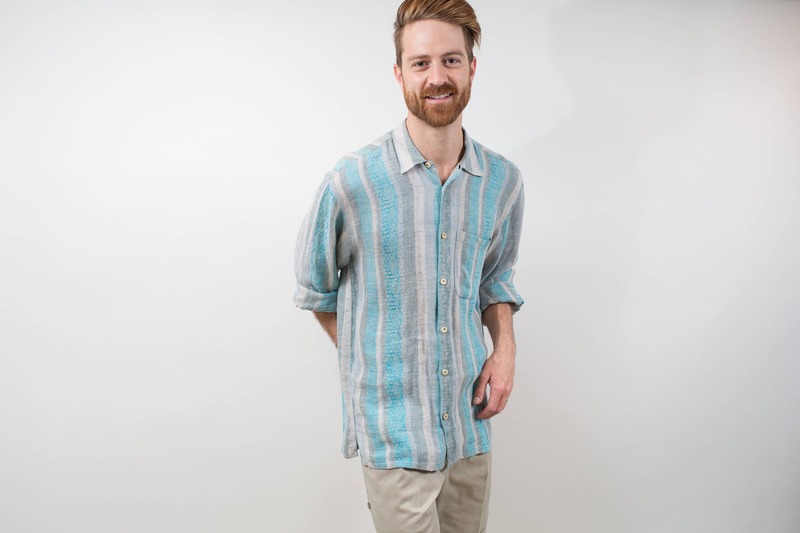 Fits Medium/Large. Condition: Good vintage condition. 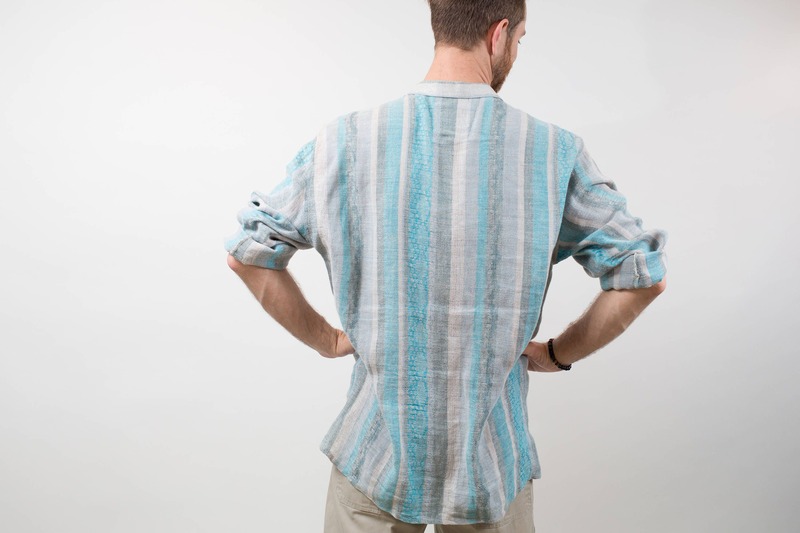 The fabric is very thin and therefore loosened in some spots, but is only visible when closely inspected. No visible holes or tears.